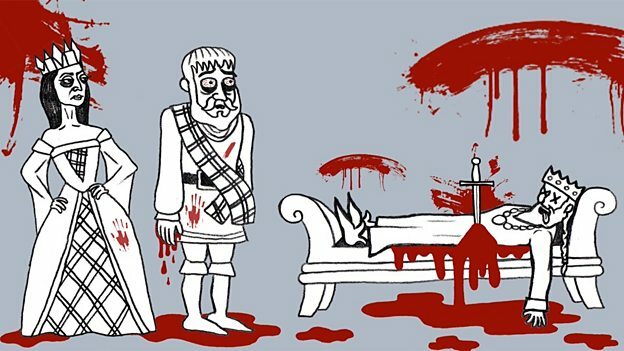 King James enjoys a bit of pickle with his dinner while he watches William Shakespeare's The Tempest. We bring you the phrase in a pickle - and lots more phrases for talking about difficult situations. Plus, pick up some great expressions to use when people are drunk! 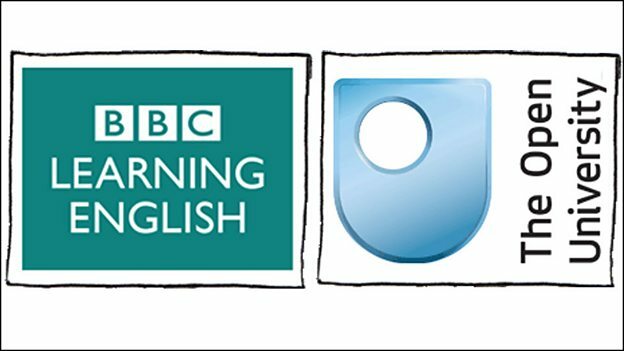 Shakespeare Speaks was produced by BBC Learning English in partnership with The Open University. Find out about the series on these pages. 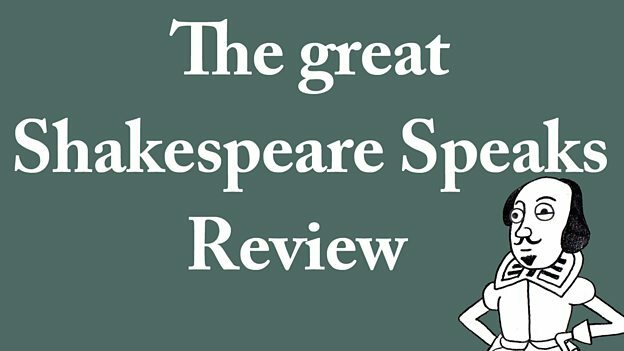 Thomas Swann fixes a broken door at the theatre… and gives William Shakespeare a great idea for his new play! Pick up some useful expressions with dead, hammer and nail in this episode. Thomas, it's packing… I'll send him packing… Not packaged. You're not putting him in a box or parcel! 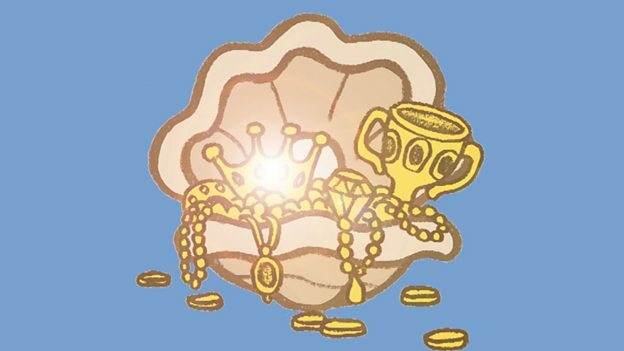 William Shakespeare's daughter learns an important lesson when she buys a cheap gold ring... and we look at idioms and phrases relating to appearance. Music, magic and monsters! We learn how to use the phrase strange bedfellows from The Tempest - and lots of other useful expressions for talking about relationships. 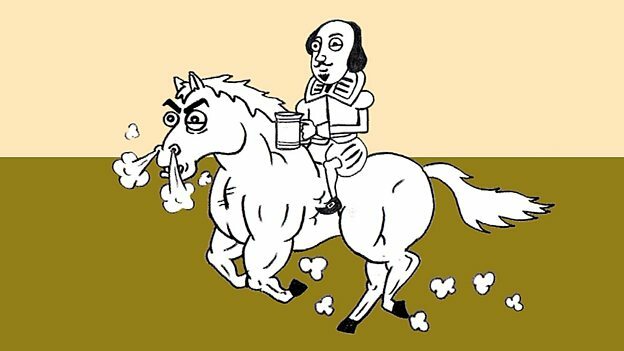 Maggoty dogs and crabs walking backwards teach us about the phrase though this be madness, yet there is method in't from William Shakespeare's Hamlet - and we bring you lots more useful expressions for talking about strange behaviour! Are they chasing geese – or horses? 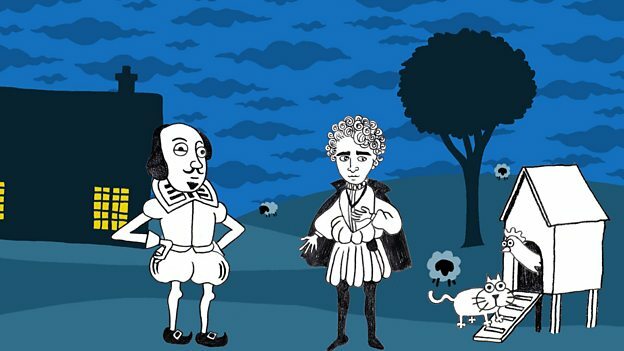 We show you how to use the phrase wild-goose chase from William Shakespeare's Romeo and Juliet - and bring you some other popular animal idioms! 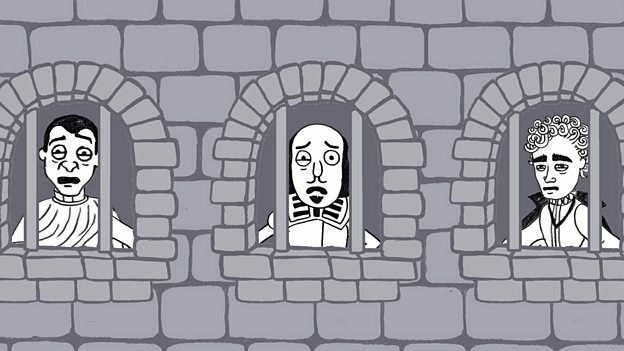 Everyone's feeling guilty – except William Shakespeare. 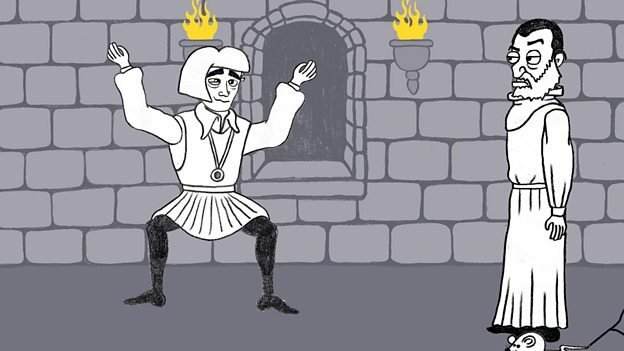 We show you how to use the phrase what's done is done from William Shakespeare's Macbeth - and bring you some useful expressions relating to guilt. 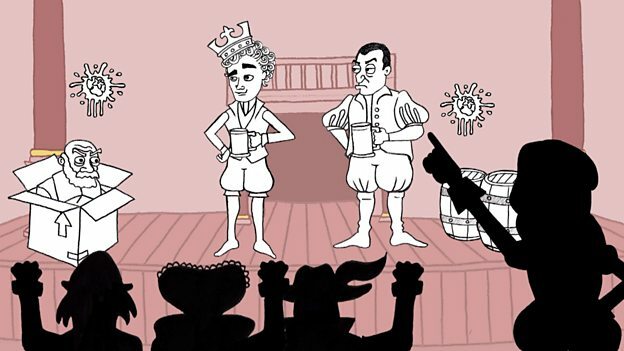 Meet Queen Elizabeth, her favourite explorer and 'The Real Housewives Of Shakespeare Speaks' while you learn how to use the phrase the world's mine oyster - and lots more idioms with the word world. What's in a name? We show you how to use the phrase a tower of strength - and bring you some useful phrases for talking about people you can rely on. Queen Elizabeth isn't very happy today! 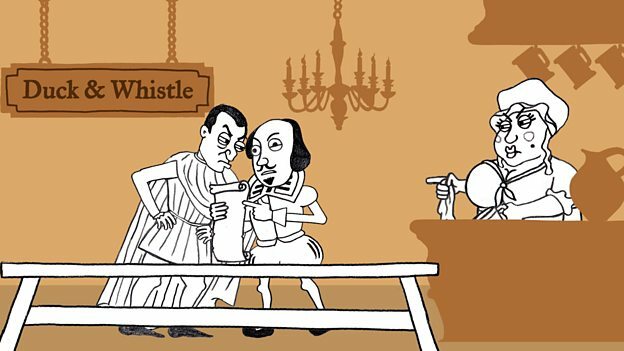 We show you how to use the phrase spotless reputation from William Shakespeare's Richard II - and bring you some useful expressions for talking about both good - and bad - reputations. 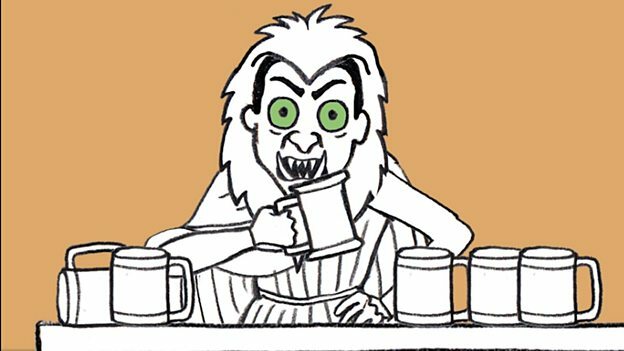 William Shakespeare and Thomas Swann are enjoying a drink - or three - in their favourite pub. While they get drunk, we show you how to use the phrase green-eyed monster - and many more colour idioms - to make your English more colourful. 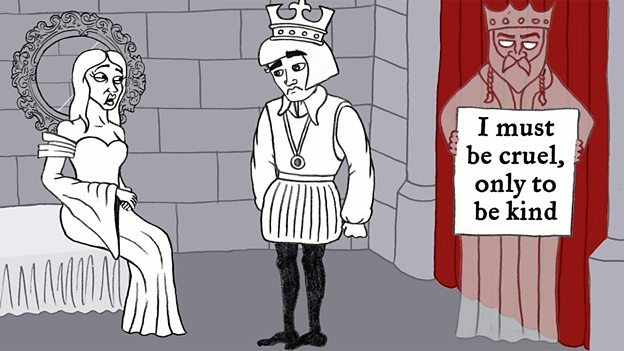 Everyone's in disguise in William Shakespeare's The Taming of the Shrew - but William's daughter isn't hiding her true feelings! 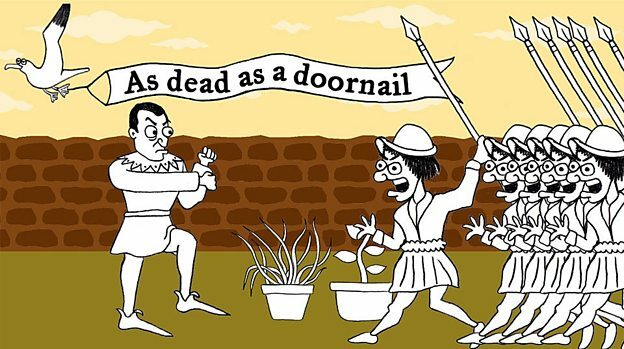 We show you how to use the phrase forever and a day - and introduce you to some more fun ways to exaggerate in English. Ssshhhh… it's a secret! 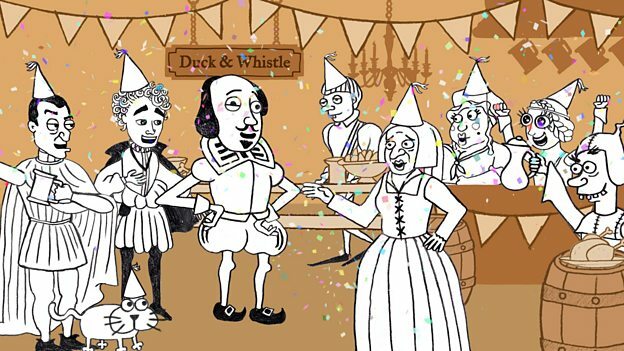 It's William Shakespeare's birthday and there's a surprise in store for him. Plus, we're bringing you the phrase mum's the word and keep mum as well as lots more useful phrases for talking about secrets! 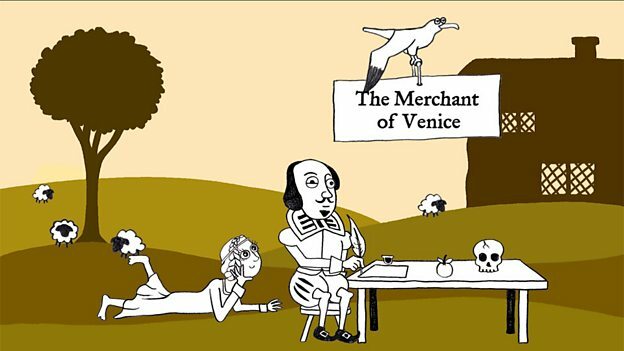 King James needs to stay awake during this performance of The Merchant of Venice to find out why Shylock is talking about a pound of flesh. We'll explore the origin and modern day usage of a pound of flesh - and bring you some great expressions for talking about revenge. Is Robert Harley really going to put a ring on Janet Bassett's finger? Or is Janet living in a fool's paradise? We'll explore the meaning of the phrase a fool's paradise - and bring you some great expressions for talking about reality and fantasy. 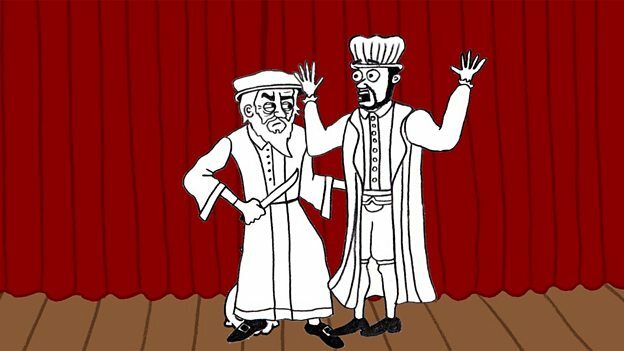 William Shakespeare and actor Thomas Swann have a disagreement. Can Bess the barmaid make Thomas see sense, or will he refuse to budge an inch? We explore the phrase not budge an inch and introduce some useful responses for when you are asked to do something you don’t want to do. 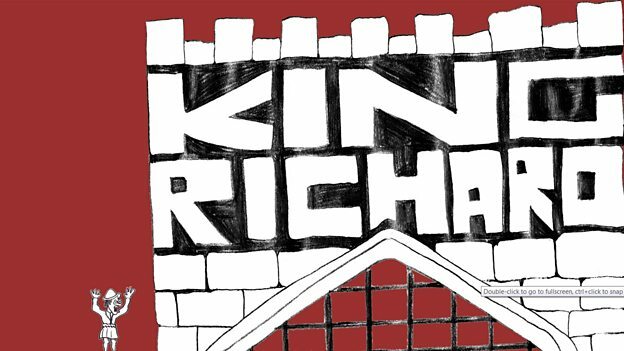 The Queen is taking King James' wine away, but is she being cruel... or kind? Learn how to use the phrase cruel to be kind and expand your vocabulary by learning six synonyms of cruel - and the nouns that go with them. 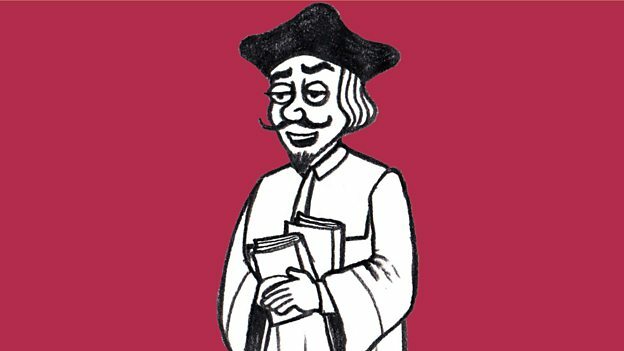 William Shakespeare's daughter has fallen in love... again. But should she wear her heart on her sleeve - or keep her feelings hidden? We'll help you use the phrase wear my heart on my sleeve, and explore some other great phrases for talking about revealing - or hiding - your feelings. We also bring you plenty more heart idioms to expand your vocabulary. 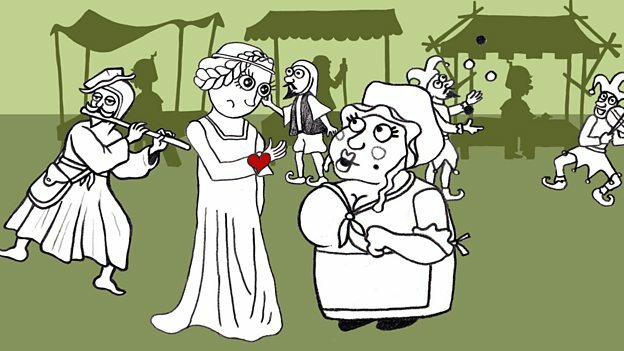 Old Mother Howard predicts the future, but William Shakespeare's daughter is confused! 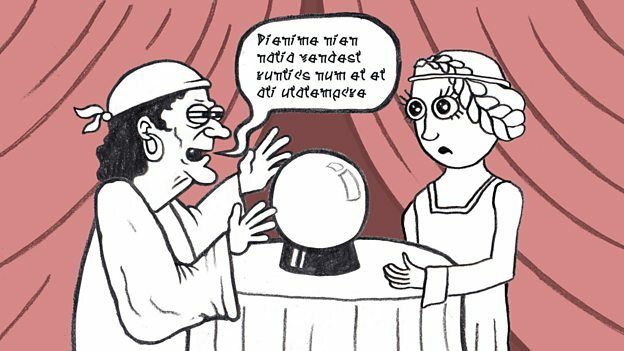 We'll help you use the phrase It's all Greek to me - and other idioms with nationalities or countries. Plus, we'll explore some great phrases to say "I don't understand!" Calling all English language teachers. 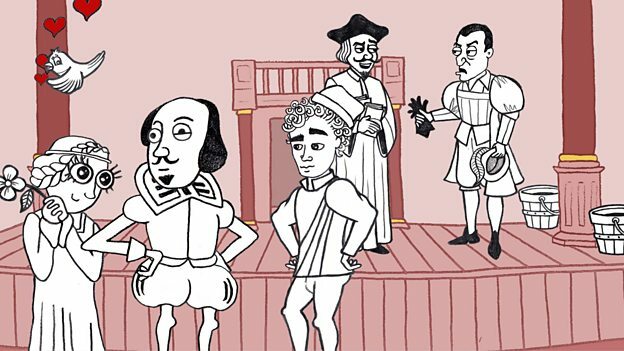 Here you'll find lesson plans and worksheets to help you use the Shakespeare Speaks videos in the classroom. 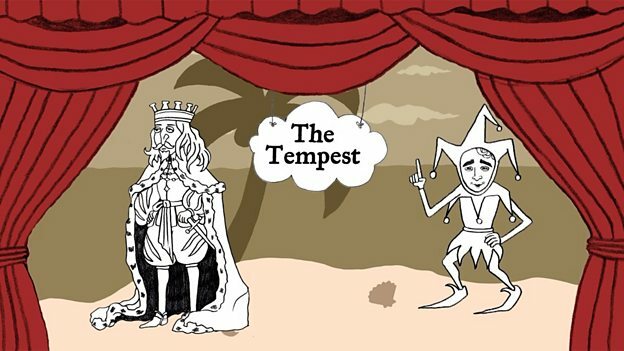 You enjoyed watching the videos - it's now time to review the facts, idioms and phrases from Shakespeare Speaks. How much can you remember about the series? Try these fun review quizzes to find out!